My very favourite hotels are those that epitomise luxury travel whilst at the same time staying true to their roots; in short, I like to know where I am just by looking around me! 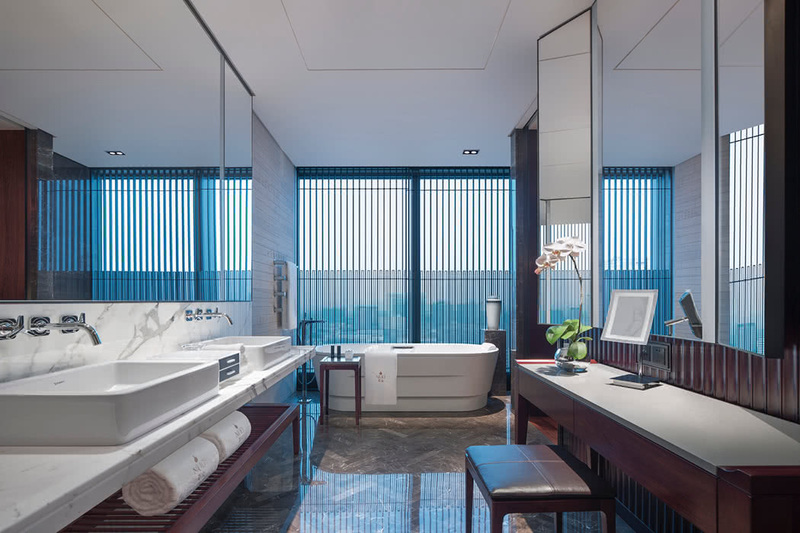 This is exactly the case at the stunning NUO Hotel Beijing. 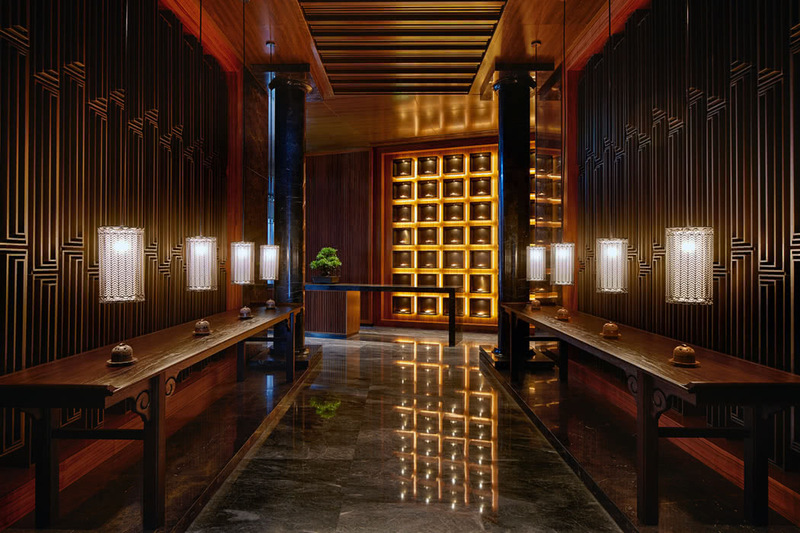 The hotel is located in the Chaoyang District of Beijing. You are right next to China’s ultra-hip, innovation 798 Art Zone District; the world-famous home of contemporary art. 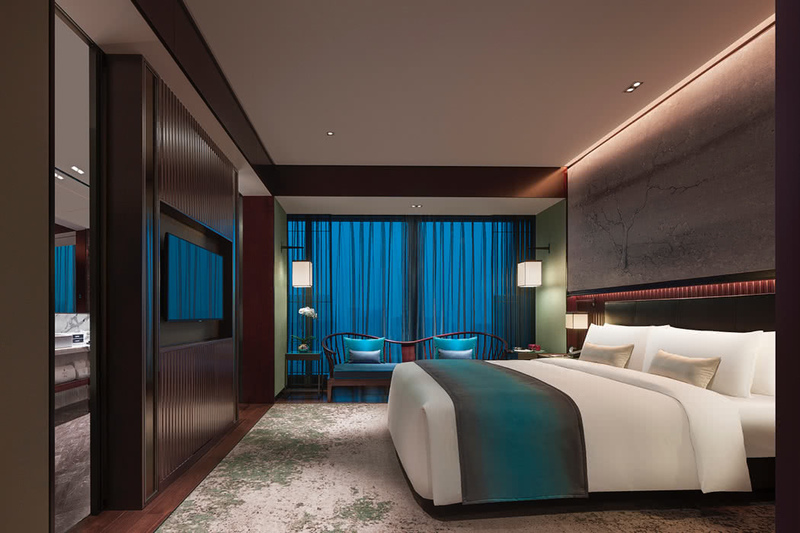 NUO Hotel Beijing is also just a short walk from Jiangtai metro station (on Line 14) so it’s super convenient to get about. 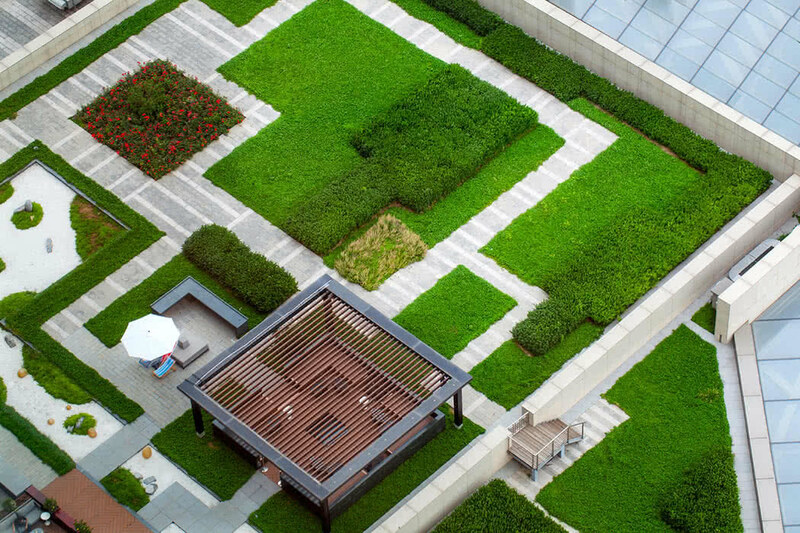 The iconic Forbidden City lies 18km away and you are ideally situated for the dynamic Wangjing business zone and the northeast embassy area too. Beijing is a great all year-round destination but to avoid the very hottest summers and chilly winters, visit just out of season from March to May or September to October; these periods also offer stunning colourful scenery. British Airways, Air China and Hainan Airlines fly direct from London to Beijing Capital International Airport with a journey time of around 10 hours. From Los Angeles your journey time is more like 13 hours and both American Airlines and Air China fly the route direct. The hotel is just 18km from the airport, you can get downtown from the airport via the Airport Express line or use a taxi or transfer service. 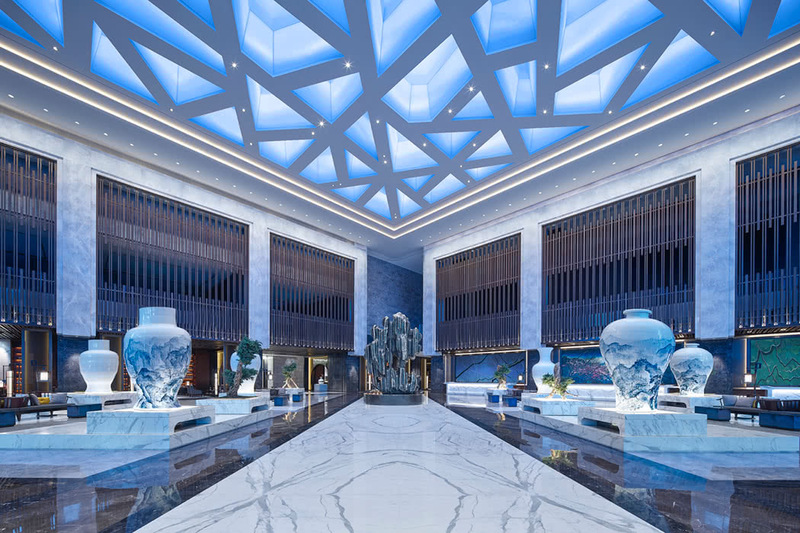 It almost goes without saying that the NUO Hotel Beijing is ultra-chic, super-stylish and a feast for the eyes everyway you turn. Even better are the gorgeous touches of Ming Dynasty with the “Modern Ming” contemporary style. Curated art pieces, traditional lanterns and epic sculptures manage to be both extravagant yet tasteful. 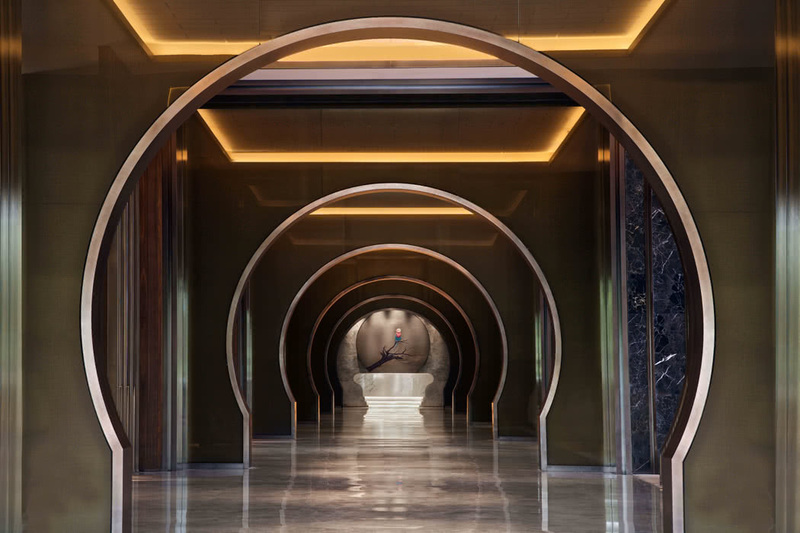 This is the flagship hotel in the NUO portfolio and it leaves me very much wanting to see the rest. While your days will likely be occupied exploring this glorious city, ensure you take some time to relax and enjoy the hotel facilities too. 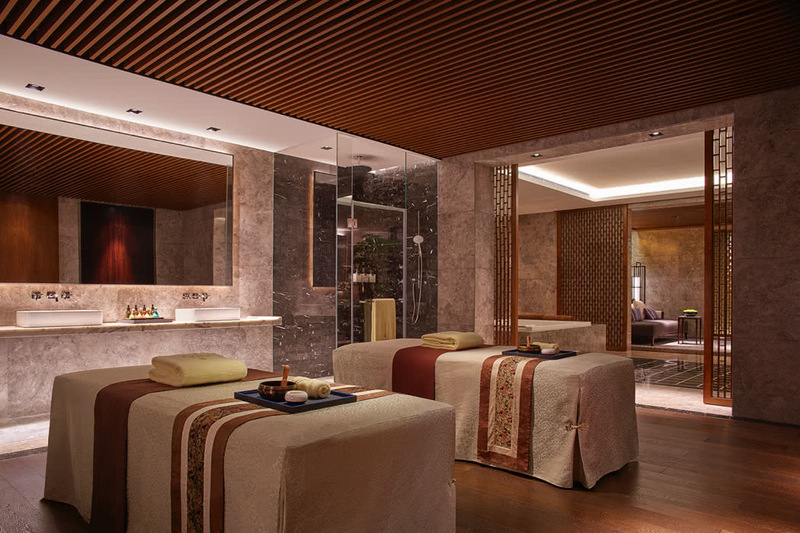 Wellness Chinese-style is on offer at the award-winning NUO SPA and NUO Fitness. 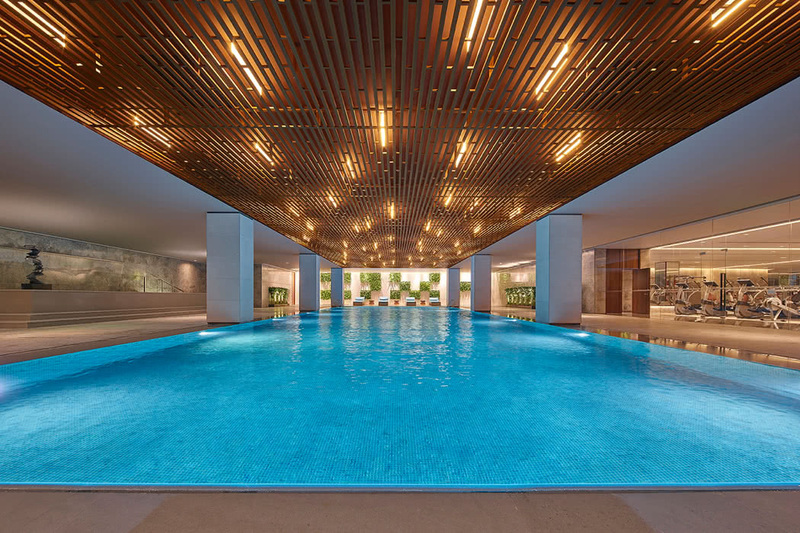 Here you can enjoy the 25-metre heated indoor pool, excellent gym and dedicated yoga studio; the beautiful spa draws on ancient Chinese medical philosophy for their treatments so will leave you feeling rested and rejuvenated all ready to hit the city again. 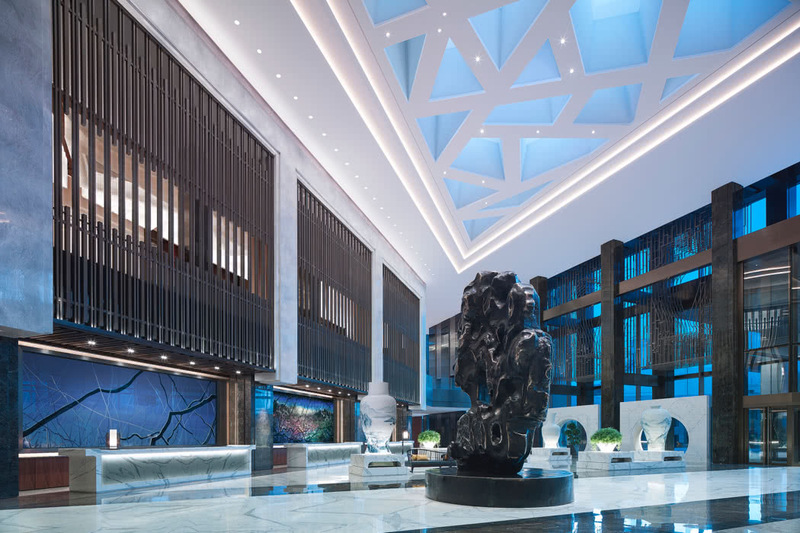 Other facilities include a Business Centre and event facilities which include a magnificent 1,600 square metre ballroom as well as a fleet of luxury Hongqi limousines. The service is a true highlight here; you are made to feel like a celebrity guest. The staff offer a very personalised service and are helpful and attentive. Basically, your every wish is delivered, and with a smile! 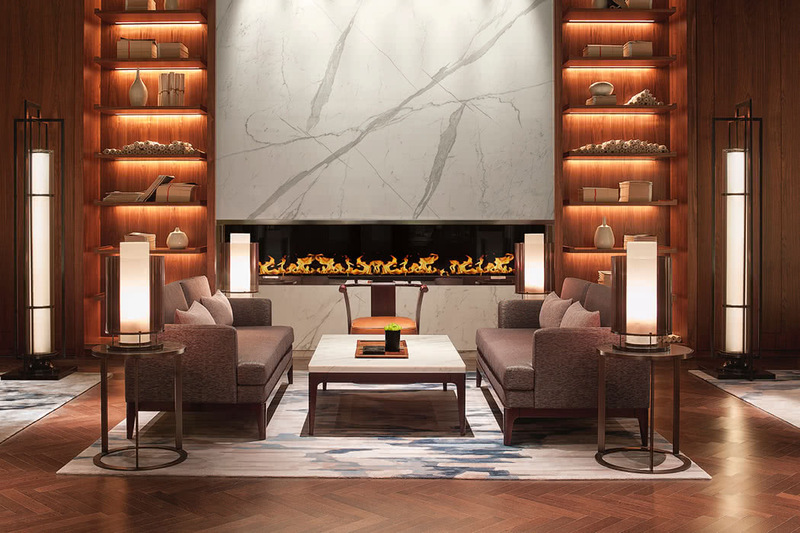 All 438 guest rooms and suites are serene spaces that have been thoughtfully equipped with every amenity you could think of for luxury travel. Think walk-in wardrobes, Nespresso machines, the very clever ensuite valet cupboards, king beds, marble bathrooms with dual sink vanity areas, freestanding bathtubs with a view, and separate walk-in showers. 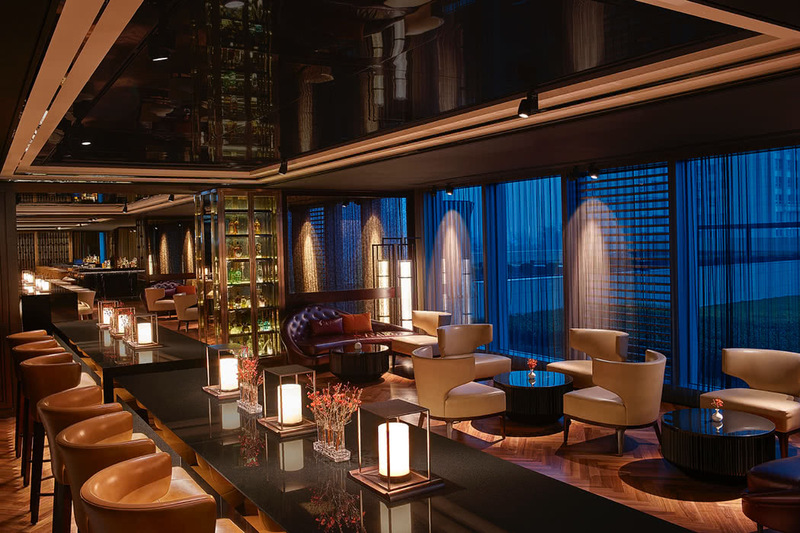 You really can’t go wrong with any of the room categories but if you can it’s worth upgrading at least to a NUO Club Room which gives you access to the Executive Club Lounge. There are also Studios which are perfect for extended stays or if you plan to entertain. The stunning Suites are also well worth a look and extend your already spacious room to include living rooms, while some also add butler service, dining rooms, and kitchenettes. 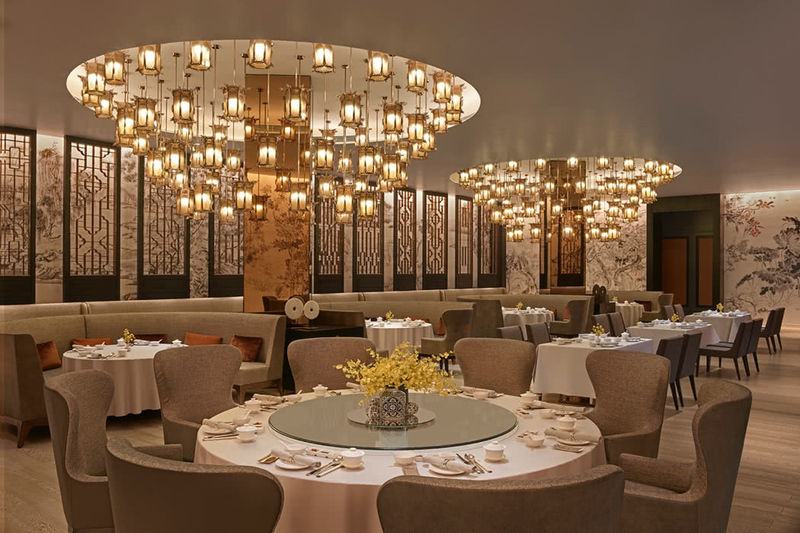 Although you are in Beijing and it would be almost rude not to dine out at least once, you really won’t need to; you are spoilt for choice with seven world class restaurants and bars onsite. 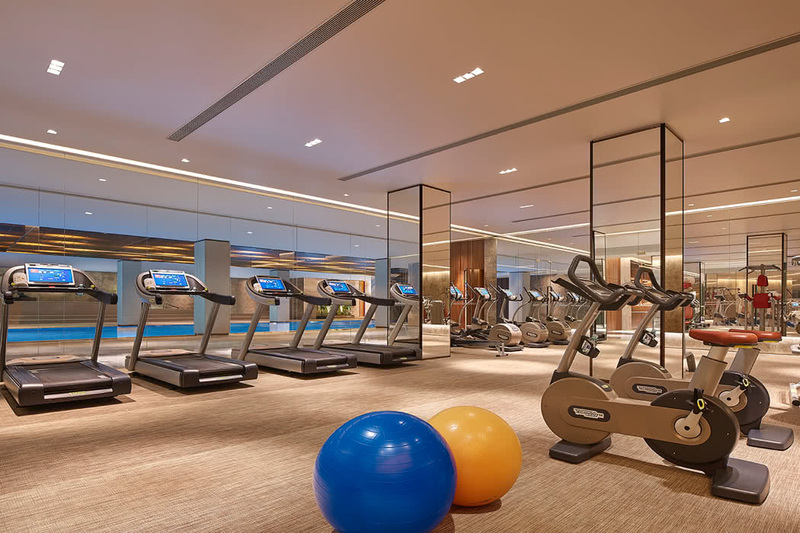 As well as 24-hour in room dining and the Executive Club Lounge of course. 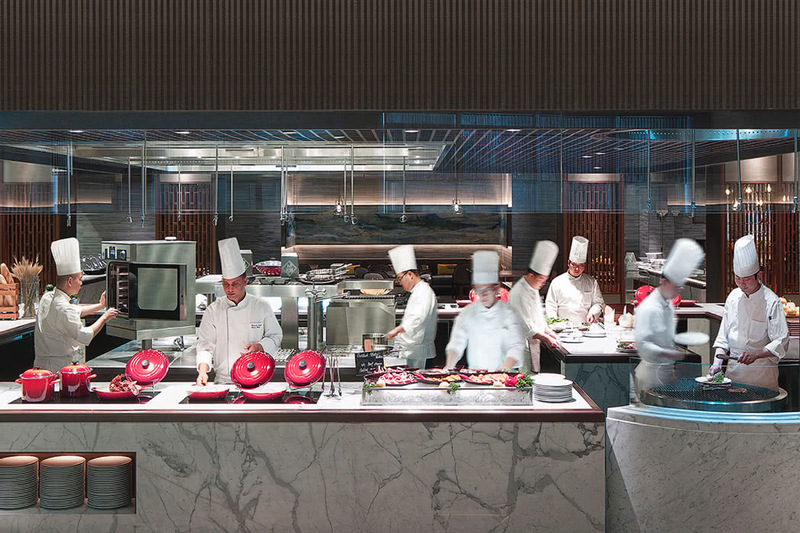 The buffet restaurant, N’Joy is like no other buffet restaurant! Exceptional cuisine of every region you can think of is on offer; don’t miss the Indian and Middle Eastern selections. 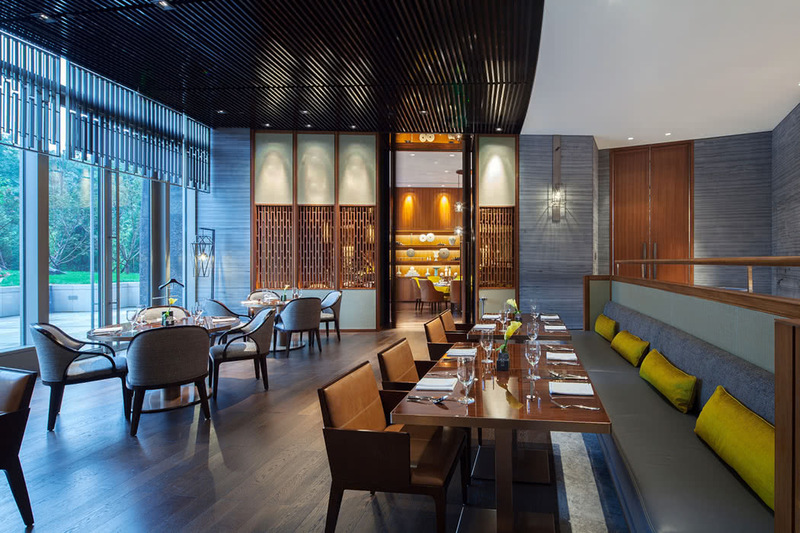 For Cantonese dining modern Ming-style, head to Jia or to this a Chinese-styled tea house, a lobby lounge and O’Bar with its vast rooftop terrace and you’ll be very happily sated for your entire visit! We love this hotel because of its fabulous style and simply wonderful service.